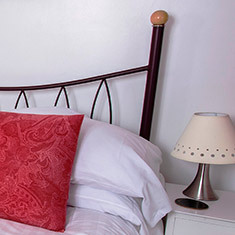 Our four self catering bungalows are an ideal West Country holiday destination. 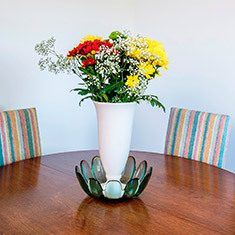 Situated in Blue Anchor Bay, nestling between the Exmoor National Park and the Quantock Hills, all the bungalows enjoy panoramic views of Blue Anchor Bay, Dunster Castle, North Hill and toward the Exmoor National Park and the Quantock Hills, looking out over the Bristol Channel to Wales and the Brecon Beacons. Blue Anchor Bay and the surrounding countryside provide a peaceful and secluded environment but within easy reach of all that West Somerset has to offer. A holiday with us has plenty to suit all interests and ages. Jo and Rick personally greet all guests and we pride ourselves on attention to detail, cleanliness and comfort, going just that bit extra to accommodate and welcome you. There is no need to pack much except your clothes as we provide most things. Just ask and it will probably be in your bungalow, but if not we will get it for you. Rise early to view the spectacular sunrise from your garden and perhaps catch sight of the deer in the adjacent field. After a day out exploring glorious West Somerset sit and enjoy a glass of wine in the front garden as the sun sets over North Hill. All of the bungalows have an enviable view of the stunning West Somerset coast from their private gardens with the steam trains of the West Somerset railway puffing across farmland below. At night our resident owl can be heard, and often seen, teaching her chicks to fly, oak tree to oak tree. We can’t guarantee you a visit from Bill the badger but he is around. Percy the pheasant and his harem of “wives” will make their presence known, as well as so many different species of birds. Walk, cycle, fish, go horse riding or travel on the West Somerset railway! All of this is possible either from your front door or within a short drive. Also available at no extra cost are the amazing sea, castle and moorland views. West Somerset is peaceful, with stunning views and picturesque villages, giving you plenty to do or plenty of time to do just nothing ... come and share our little bit of paradise with us. 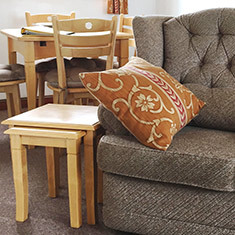 Each bungalow is provided with a freeview television in the lounge and one bedroom, a DVD player, free WiFi and a USB socket. All bungalows are tastefully and comfortably furnished. All kitchens are equipped with an electric hob and oven, microwave, dishwasher and a generous supply of crockery and cutlery, together with tea towels, an oven cloth and essential cleaning items (washing up liquid, J cloths and much more!) Bed linen and towels are provided. We use duvets on all our beds but sheets and blankets are available if preferred. We welcome all disabled guests. 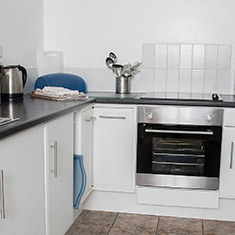 All of our bungalows have level wheelchair access with a wheelchair friendly wet room. For more details please go to the Access for All page, or just pick up the phone and speak to Jo. 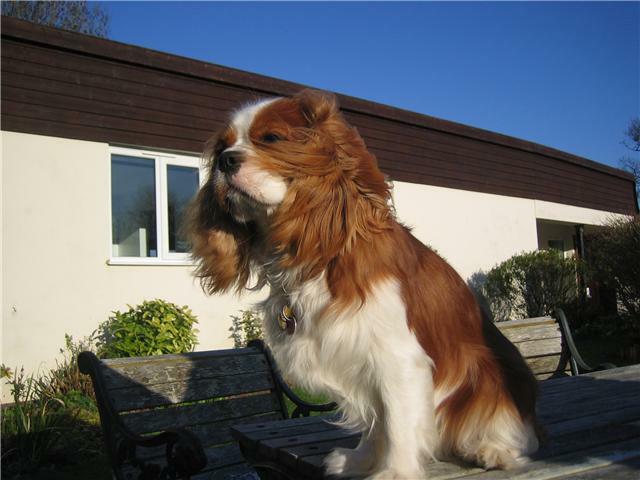 Dogs are welcome at Primrose Hill, there is an additional weekly charge of £17.50 per dog. Assistance Dogs get a free holiday. See our recent doggy visitors here.